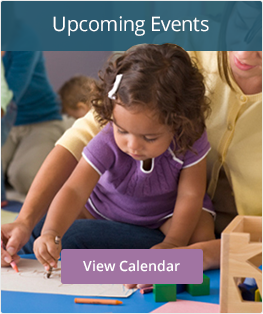 The Office of Early Childhood’s (OEC) annual Quality Improvement Grants are currently available. Please read the information below about the two options that are available. Links to more information are included. Available to Colorado Shines Level 1 programs interested in reaching a Level 2 and who are interested in more information about a Level 3-5 rating on a one-time only basis to programs who have never received funding in the past for Quality Improvement with OEC funds.. Application window: July 1, 2018-December 31, 2018 or until funds are depleted whichever comes first. Eligibility: Licensed programs who are currently Level 1 are eligible to apply for a Hardship Grant for support to attain a Level 2 within 5 months of application approval and who are willing to look at how they may score if they were to seek a higher rating. These programs can set themselves up to be eligible for on-going funding and coaching support each year thereafter. The award levels are the same for both grants and are based on program size and type. Funds offered in this grant are available with one-half being awarded upon acceptance of the application and the second portion of the award being available once the program achieves Level 2. Support is available through this grant to help your program to achieve Level 2 and for review of your program to know what level rating it might be able to achieve in the future. Requirements: Submit for a Colorado Shines Level 2 within 5 months of your application approval, and work with a coach to assess what outcome your program might achieve if you were to seek a higher rating based on a review of the rating criteria. Yearly availability to eligible programs. This year’s application is available until April 15, 2019 or until all funds are expended, whichever comes first. Please note there are additional funding opportunities available to programs receiving this grant funding below. Eligibility: Programs rated in Colorado Shines as Level 2 through Level 5 with an active fiscal agreement from any county to accept children on the CCCAP subsidy, This grant offers coaching and quality improvement funds immediately upon approval of the application. The award levels are based on program type and size. Level 2 programs who receive this grant for the first time will need to commit/intend to submit to a Level 3-5 Colorado Shines Rating within 18 months of the approval of their application. Level 2 programs who have received this funding previously will be expected to submit for a Level 3-5 Colorado Shines Rating within 18 months of the approval of their prior application. For programs which are not ready to complete this process in this time frame ECCLC will work with the program to determine the best course of action in these rare circumstances. Leve 3-5 programs who having a rating level that will expire will need to submit for their renewal rating in a timely manner to maintain their rating. Level 3-5 programs who do not have a need to re-new a rating may remain in their maintenance phase and still receive funding and coaching support or they may seek a higher rating at their discretion. Steps to apply for this funding can be found here. Funds to support capital improvements in programs that serve infants and toddlers may be available through an application to and approval from the Office of Early Childhood, Colorado Department of Human Services. State approval depends on available funding and strength of the request. Professional Development and Temporary Teacher Funds – While regular quality improvement funds may be used for this purpose, participating programs may be able to access additional quality improvement funding to compensate for professional development activities for their staff. Allowable activities include qualifying Early Childhood Education college coursework, conferences, or trainings. Please contact ECCLC once you have received your application approval for more details about how to access either or both of these options. Award amounts will be limited.